Teeth change over time, with activities from chewing to smoking cigarettes altering their color, position, and more. A cosmetic dentistry professional can advise you as to what you can expect from your teeth as you age, and give you the tips and tricks needed to keep your pearly whites in optimal shape. 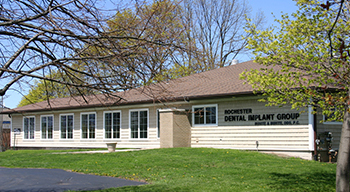 The cosmetic dentistry experts of Buhite & Buhite, DDS in Rochester, NY, give you the facts you need to maintain a beautiful, healthy smile for a lifetime. Chewing on ice, smoking cigarettes, and opening wrappers with your teeth are unnecessary actions that can take a toll on your teeth. Beware of chewing on hard foods, like sucking candies, which can also damage your enamel or chip your teeth. A little bit of common sense will help you avoid such detrimental acts. Avoid sugary foods, which can promote the development of cavities. Foods with a high acid content, like fizzy sodas and citrus fruits, can also damage your enamel. Saliva is important for maintaining a healthy mouth, as it helps keep your teeth clean to prevent decay. As you age, your mouth will get drier. Address the problem by ensuring you drink plenty of fluids and by investing in an alcohol-free mouthwash that won't dry you out further. Most people don't have a problem brushing twice daily—flossing is another story, however. Don't neglect your gums; flossing removes plaque and debris your toothbrush can't reach. Whether you're noticing pain or you're unhappy with the dull sheen your smile has taken on over time, speak with your dentist about your concerns. They can ensure there aren't any serious health problems at hand and also address aesthetic issues. Cosmetic dentistry procedures, like teeth whitening, offer an easy fix for stained teeth. If you want to know more about how your teeth and gums may change with age, the dentists at Buhite & Buhite, DDS will be happy to answer your questions. Visit the website to find out more about their general, cosmetic, and restorative dentistry treatments, or call the Rochester, NY, office at (585) 342-1323 to make an appointment.